Iowa Workers Compensation Insurance. Densmore Insurance Strategies, Inc., having a workplace that is protected gives you extra security. As a Central Iowa employer, you have an obligation to ensure a safe workplace and the law requires a business to have Workers Compensation Insurance. Iowa workers compensation insurance laws require most employers in this state to provide coverage against accidental injuries and illnesses that their workers may suffer on the job. It is against the law to deduct employee earnings to cover workers compensation premiums. Domestic and casual employees earning less than $1,500 during the 12-month period prior to the injury. Agricultural employees working for an employer with a payroll of less than $2,500 during the 12-month period prior to the injury. Immediate family members of an employer in the agricultural industry. A company’s president, vice president, secretary, and treasurer and their immediate family members, not to exceed four officers per corporation. Police officers and firefighters who are covered under the Iowa pension fund. Sole proprietors and partners who are actively engaged in the business on a full-time basis. If you have questions about who you must cover and who is included in your list of exceptions, you can learn straight from the source Mark E. Densmore to receive guidance by discussing your situation. Lost wages for employees who need to take time off to recuperate. Future medical costs for illnesses and injuries requiring long-term care. Disability and lost wages for significant injuries that render the employee unable to obtain future work. Additionally, if a worker is killed on the job, whether because of an accident, an act of violence, or a criminal act by a third-party, your Iowa workers compensation policy can pay out death benefits to the employee’s family or beneficiaries. the influence of drugs or alcohol; was committing a crime at the time the injury occurred; or if the employee’s injuries were willfully self-inflicted. When employee claims are denied, they have the right to challenge this decision by filing a contested case petition with the Iowa Workers Compensation Commissioner. Who benefits from Iowa Workers Compensation? Workers compensation policies are beneficial to both employees and employers. Employees benefit from knowing that they will receive adequate compensation for losses related to occupational illnesses and injuries. This compensation is usually made available in a timely manner without requiring that the injured employee seek legal assistance. The employees who were injured in the Central Valley Ag grain elevator explosion were given the best possible medical care immediately after the accident, and this ensured that they recovered quickly and with as few long-lasting repercussions as possible. Employers benefit from the knowledge that their valued employees will get quality care and their companies are not likely to be sued for negligence related to these occupational injuries or illnesses. This is because when employees accept workers’ compensation benefits, they forfeit their right to sue their employers in matters related to the injury. Such lawsuits can sometimes result in multi-million dollar judgments. Why is Work Comp Mandatory? All employers with at least one employee must carry coverage. Subcontractors, independent contractors a, d their employees must also be covered (unless they’re independent enterprises). Construction businesses are also required to have workers compensation insurance. The fault is inconsequential. Employers are liable even if the employee may have contributed to the injury or illness. It’s required in every state except Texas, and specifics vary from state to state. Not every employer needs workers compensation. In some states, small companies with fewer than three to five employees do not. Who is not Covered by Workers Compensation? Certain types of workers and jobs are not covered by workers compensation. 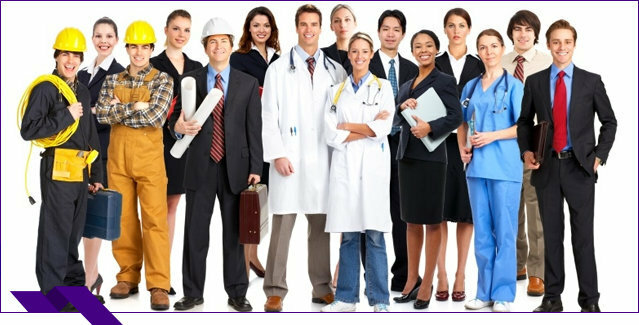 The main categories of workers that are not covered by traditional workers compensation are business owners, volunteers, independent contractors, federal employees, railroad employees, and longshoremen. The cost of a workers’ compensation policy depends on the coverage and a number of other factors like state regulations and industry. An ergonomically-conscious accounting firm might only pay $1,000 a year, whereas a traveling circus could pay up to $88,000 a year. Basically, the safer and smaller the company, the cheaper it is. Workers compensation insurance premiums are calculated according to how employees are classified (with regards to the specific type of work they perform) and the rate assigned to each employee classification. The premium rate itself is expressed as dollars and cents per $100 dollars of payroll for each class code. Is Workers Compensation Insurance Tax Deductible? Business owners can deduct the costs of required insurance payments if they are necessary for their business operations. The IRS allows business owners to deduct the cost of workers compensation insurance premiums that are required by state law and provide benefits to injured employees without regard to fault. Pay for an injured employee’s medical treatment. Replace part of lost wages if a job-related injury requires time off work. Protect your business and assets. The professional at Densmore Insurance Strategies, Inc. understands that you have several choices to purchase workers compensation insurance in Ankeny and Des Moines Iowa. We review the impact & likelihood of your operational & strategic risks and offer recommendations that help maximize your success. You can find our office in Bondurant, and our clients all around Central Iowa. As an independent insurance agency in Central Iowa, we take pride in reviewing your options with multiple insurance companies and comparing protection and prices to find the best value for your business. We proudly serve the business members of the Ankeny, Des Moines, Altoona, Bondurant, Urbandale marketplace, and we’re committed to being an advocate for you and your business in times of need. We are licensed to serve Iowa, Illinois, Nebraska, Florida, Missouri, Arizona, Texas, and Tennessee.